Start your creative fun and get this Halloween Disney coloring page to print for your own personal coloring book. 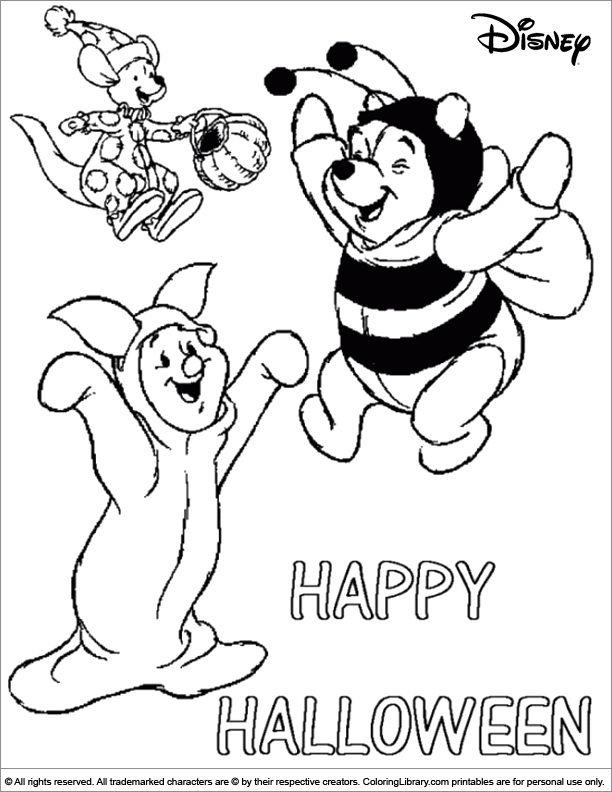 Print out this and many of the other of Halloween Disney coloring pages and expand your coloring book collection. Give your kids sheets of their favorite characters, cartoons or animals and they will spend hours coloring it.